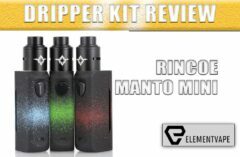 We’ve reached an interesting point for rebuildable dripping atomizers. Not that long ago, it was a nice perk to have a squonk-ready, bottom-feeding pin included in an RDA package. Then it became commonplace. 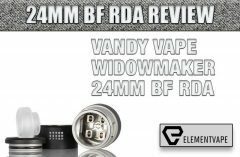 Now, we’re getting RDAs ‘seemingly built’ for the specific purpose of attaching to ever-popular squonk mods – such as the all-new Vandy Vape Capstone RDA. Let’s take a closer look. The Capstone RDA is another in a long line of “collaborative” products, designed with input from Vape Happy. And it definitely has a unique look to go along with the extra name recognition. For starters, there’s the exteriors – yes, there are more than one – which don’t resemble anything currently on the market. 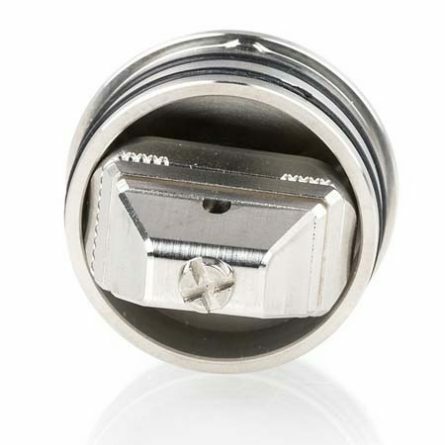 The first sleeve/cap is crystal clear, for Vapers who want to see their coils do their thing. Personally, watching my cotton get funny looking isn’t my idea of an attractive vape, but to each their own, I say. The second cap looks like a set of ‘80s studded heavy metal wristbands, crossed with a hand grenade. Depending on your perspective, it’s either the most- or least-attractive set of top caps you’ve ever seen. 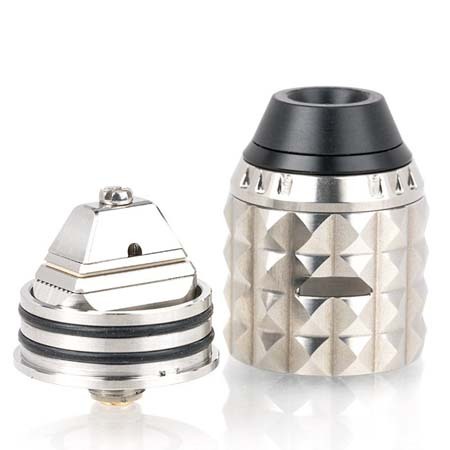 But one thing’s for certain – you definitely won’t mistake the Capstone RDA for any other RDA in your collection. I’m not a HUGE fan of the look, to be honest. But my rainbow-hued stud piece was visually interesting when catching the light, so there’s that. 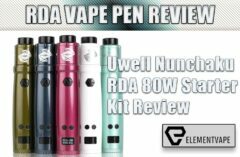 The kit also comes with a spare “competition” drip tip, and the same coil lead guide we’ve seen in all of Vandy Vape’s products of late. 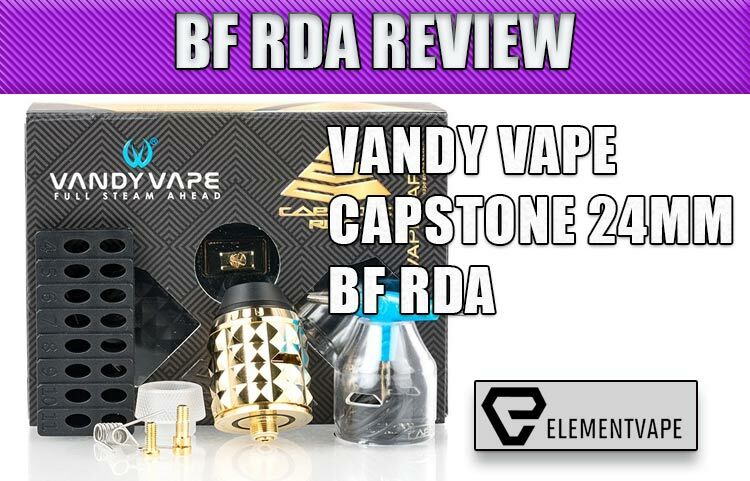 Nothing too noteworthy, but Vandy Vape always provides a nice collection of extras in its packages, and the Capstone is no exception. More interesting was my first impression of the stacked, multi-part build deck, which resembles the entrance to a Buddhist temple, and designed with that “ease of use Zen” we all hope to achieve when building coils. The single-screw top plate is definitely easy to operate, and I had no problems placing and positioning all types of builds. But, as we mentioned above, the deck isn’t just interesting because of how it makes it easy to build and innovate with dual coil combinations. It’s interesting because the entire setup is designed for Squonkers. 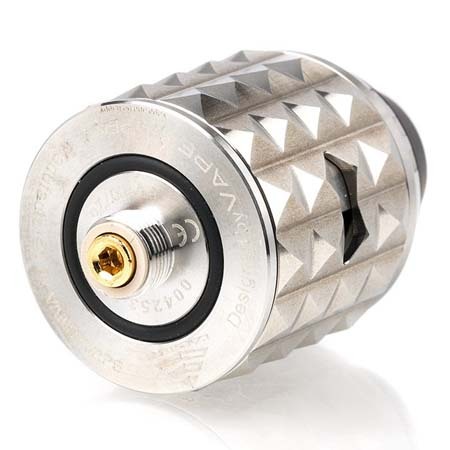 While I can’t be 100% certain this is what Vandy Vape had in mind, the way they set up the “Ramp” post and tall bottom-feeding juice ports leads me to believe this was the case. And in that sense, the Capstone RDA is brilliant. 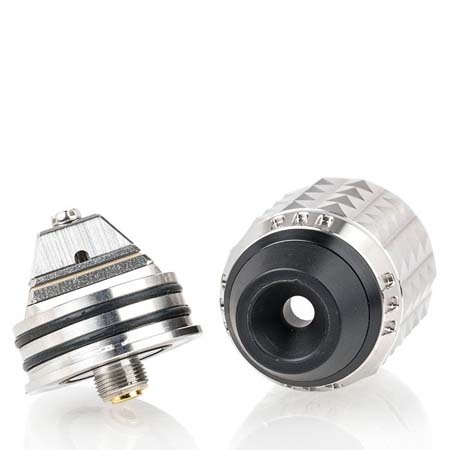 Because it’s a VERY high-performing BF-RDA. 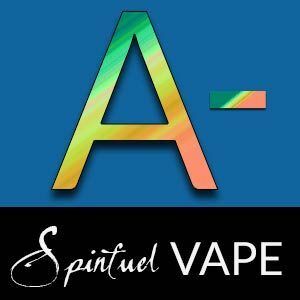 Not only does the airflow manage to “rise above” the juice well better than most standard RDAs, allowing for less gurgling and spitback, but it also never seems like juice gets trapped or pinned because of cotton getting in the way. The “trapezoid” airflow system was also pretty good. 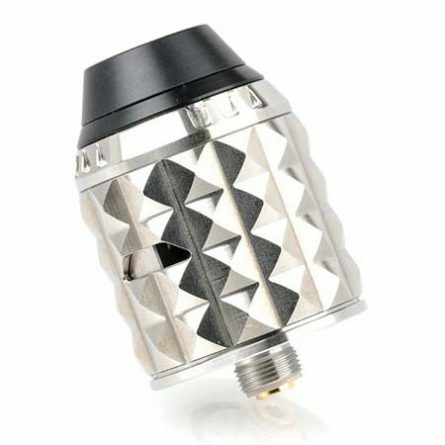 While all these gimmicky names and designs don’t phase me much anymore, I felt the Capstone RDA had a nice balance of smooth airflow, with enough control over restrictiveness to accentuate flavor. Plus, with a very snug O-Ring on the base, the Capstone proved to be virtually leakproof, using either top cap. Again, I’m not entirely sure this was the intent. But it definitely produced a result. While I appreciated the way in which the airflow traveled over the ‘juice well’ without creating any gurgling sounds, I was disappointed by how easy it was to flood the mid-level airflow slots, no matter how I adjusted the cap. With just a few squeezes of the squonk bottle, I noticed the juice well was overflowing, and the “ramp” deck was unintentionally pushing some excess liquid out the airflow slots. Was this a tremendously negative issue? No more than any other RDA. But for a dripper that was so clearly designed for squonk use, I was a little put off by how little squonking I could do at any one point. Sure, it’s always better to squonk without floods, but I also don’t want to have to every three pulls. Unfortunately, that’s not possible here. That aside, the Capstone RDA is still a worthy purchase for bottom-feed vape enthusiasts. The way the juice cascades over the coils led to intense, nearly unparalleled flavor performance. 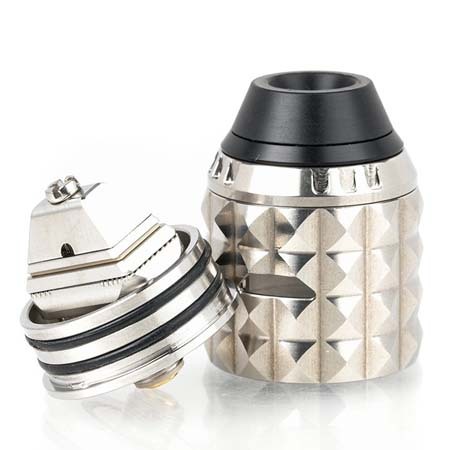 No dry hits, no random burns, plenty of versatility – the Capstone RDA is a flavor machine, and those seeking to rediscover the nuances in their e-liquids should strongly consider the Capstone RDA. When used as a standard RDA, the performance is just as good, with ample vapor output. But if you have a squonk mod, be sure to try it that way first – I’m not sure you’ll want to use it as a standard dripper after doing so. 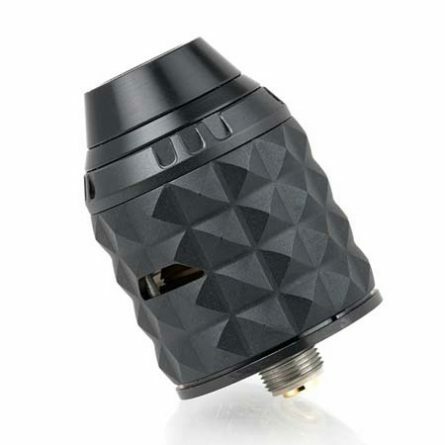 Though they’ve been out a while, squonk mods and related products are definitely here to stay, and the Vandy Vape Capstone RDA is a perfect example as to why. It’s a capable dripper on its own, but with the squonk-ready hardware in place, the unique build deck allows for some of the most enjoyably flavorful vaping I’ve had in a long time. Just lay off the leavy “trigger finger” and you’ll see why for yourself.